Australia is breaching commitments to protect the embattled Great Barrier Reef from the effects of land clearing, environmental groups claimed Monday and called on the UN to probe the alleged failures. Canberra has pledged to step up efforts to protect the reef as it reels from mass coral bleaching and coral-eating crown-of-thorns starfish, which have proliferated due to pollution and agricultural runoff. But the groups said the federal government had failed to stop a key threat to the World Heritage-list area—the impending bulldozing of large swathes of land in reef catchments. Experts have warned that deforestation increases runoff into the reef, reducing water quality and the light needed for coral growth, while fuelling outbreaks of crown-of-thorns starfish. In a letter to the United Nations, the Wilderness Society, WWF-Australia, the Australian Conservation Foundation and the Australian Marine Conservation Society called for an urgent investigation as the UNESCO World Heritage Committee's annual meeting starts in Bahrain. "Allowing this clearing to go ahead is not consistent with the promises the Australian government has made to the international community to protect and restore the Great Barrier Reef," Australian Conservation Foundation chief Kelly O'Shanassy said in a statement. The conservationists said some 36,600 hectares (90,000 acres) of old-growth forest—about half the size of Bahrain—was earmarked to be cut down in reef catchments under permits issued by the former Queensland state government, but that Canberra had the power to stop them from going ahead. Environment Minister Josh Frydenberg refuted the allegations and said the responsibility for planning and approval of land clearing lay with states. He added that Canberra had won "significant praise" from the UN for a Aus$2.0 billion (US$1.5 billion) "Reef 2050" plan to protect the reef. 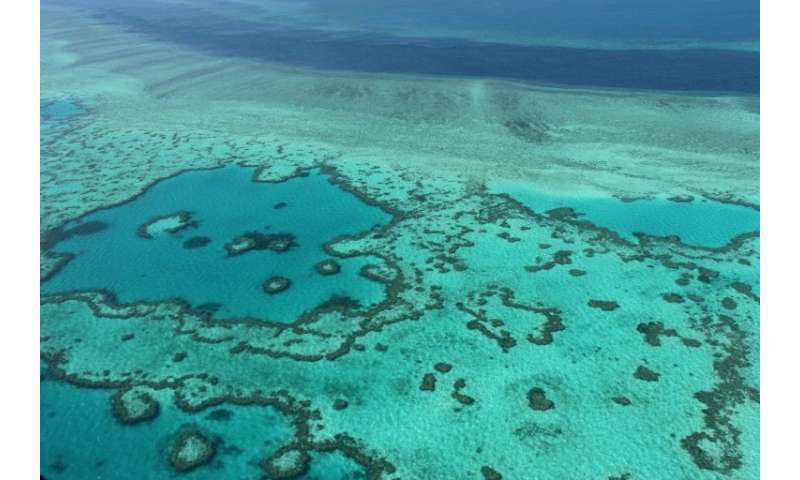 "On top of this investment the... government has also invested an additional Aus$500 million, representing the single largest investment in reef protection and restoration in Australia's history," Frydenberg said in a statement to AFP. The bulk of the new Aus$500 million funding—just over Aus$200 million—announced in April was earmarked to improve water quality by changing farming practices and adopting new technologies and land management. UNESCO's World Heritage Committee last year decided not to place the reef on its list of sites "in danger" despite concern over the mass bleaching, citing Canberra's conservation plans. The Great Barrier Reef is one of Australia's best known natural wonders and stretches more than 2,300 kilometres (1,400 miles) along the northeastern coast.